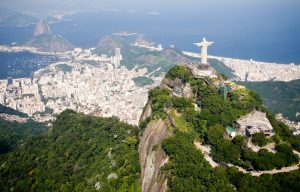 After months of awareness building on the scope of the ATA Carnet usage with Brazilian Customs, Brazil has officially announced the acceptance of ATA Carnets. This exciting new development will allow all contracting parties to the ATA and/or the Istanbul Convention to enjoy ATA Carnet facilitations in Brazil. This change is also accompanied by an acceptance of hand-carried goods into the country. Most explicitly, this new development will provide for duty and tax-free temporary admissions, allowing companies to use U.S. issued ATA Carnet to temporarily enter goods. 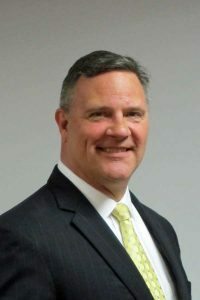 “Companies generally pay between 35-60 percent in duties exporting to Brazil, which will now be saved,” said Andy Shiles, USCIB’s senior vice president for ATA Carnet and trade services. “This program will be particularly advantageous for U.S. companies bringing in products temporarily for trade shows and exhibits.” Prior to the amendment, U.S. companies, as per domestic regulation, could not use U.S. issued ATA Carnets as they were not accepted in Brazil. The ATA Carnet is the global gold standard for temporary admissions under the auspices of the World Customs Organization. ATA Carnets are international tools of trade facilitation, which serve as a temporary export-import documentation. The ATA System is in place in 87 countries and territories, and provides duty-free and tax-free imports on goods that will be re-exported within 12 months. In calendar year 2017, there were over $6 billion worth of goods that moved under U.S. issued Carnets that helped to stimulate international trade for American businesses. For more information, please visit our page dedicated to Brazil. New York, N.Y., March 21, 2017 – Kazakhstan is set to become the 77th member country to accept ATA Carnets for the temporary, duty-free importation of various types of goods, beginning April 1, according to the United States Council for International Business (USCIB), which administers the ATA system in the United States. Known as “merchandise passports,” ATA Carnets are international customs documents that allow for the temporary importation of various types of goods, duty-free and tax-free, for up to one year. In most ATA member countries and territories, including Kazakhstan after April 1, Carnets cover import of professional equipment, commercial samples and items for display at exhibitions and fairs. The worldwide ATA Carnet system is overseen by the World Customs Organization and the International Chamber of Commerce (ICC), for which USCIB serves as the American national committee. 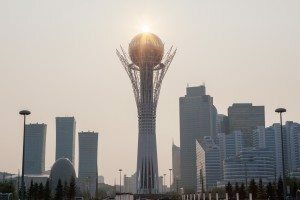 The Republic of Kazakhstan is the ninth largest country in the world by area and is the world´s largest landlocked nation. ATA membership by the country – long regarded as a priority for other countries in the system – will significantly facilitate trade relations between Kazakhstan businesses and their foreign partners. The Chamber of International Commerce of Kazakhstan has been designated as the official guaranteeing organization for ATA Carnets in the country. Prior to Kazakhstan, Brazil and Indonesia were the two most recent countries to join the global ATA Carnet system. More than 180,000 Carnets are issued every year worldwide, for goods with a total value of over US$21 billion. The United States is the third-largest user of ATA Carnets, following Germany and Switzerland. The Republic of Georgia is expected to join the ATA system in the near future. In 1961, The ATA Carnet Convention on temporary imports was adopted by the World Customs Organization to encourage world trade by reducing the barriers caused by varying national customs regulations. USCIB was appointed by the Treasury Department in 1968 to operate and manage the ATA Carnet system in the United States. USCIB is the national guaranteeing association of ATA Carnets under a set of conditions established by the World Chambers Federation, a division of the International Chamber of Commerce (ICC) in Paris. ATA Carnets allow temporary, duty-free imports overseas for goods generally qualified for use in trade shows or as commercial samples and professional equipment. re-exported after a designated date of re-exportation set by a foreign customs inspector at the time of importation. Customs authorities have a right to limit the duration of a Carnet to less than the Carnet validity. When such a restriction is noted on the importation counterfoil of the Carnet, the Holder must ensure that the goods are re-exported on or before that date. The Holder may petition foreign customs for an extension of this date. However, permission must be obtained prior to the designated date of re-exportation. It has been our experience that Canada, Korea, Malaysia, Singapore, and Thailand typically restrict importations on Carnets. Clerical errors made by Carnet Holders or their authorized representatives or customs inspectors, e.g., the handling of split or partial shipments under Carnets. When Will a Claim be Issued? A foreign customs authority must issue a claim within twelve months after the Carnet expiration. Working in conjunction with USCIB, Holders have four months from the date of the customs claim notification, within which to provide evidence of re-exportation out of the country issuing the claim. Once a claim is received, the Carnet will not be cancelled and the security against the Carnet will be held until all claims are resolved. Upon receipt of a claim from foreign customs, USCIB will verify its validity and will attempt to settle the claim based on the documentation within the Carnet itself. However, if the necessary evidence is not available, USCIB will send a claim notification letter to the Holder at the address in our file. It is important for Carnet Holders to notify USCIB of any changes in address and/or contact people. Contact a Foreign Claims Examiner for further assistance. A Re-exportation Counterfoil validated by a customs inspector of the country issuing the claim. The date of customs validation on the counterfoil must be after the date of importation on the claim and before the expiry date of the Carnet. For the European Union (EU), the Re-exportation Counterfoil may be validated by a custom inspector from any EU country. If foreign customs accept this type of evidence in settling the claim, payment of taxes and duties is usually not necessary. An Importation or Re-exportation Counterfoil validated by a foreign customs inspector which documents the same goods that were imported into the country issuing the claim. The date of the customs validation must be after the date of importation on the claim and before the expiry date of the Carnet. Some foreign customs authorities may impose a “Regularization Fee” for accepting this type of proof.For further assistance, please contact a Foreign Claims Examiner. Non-Carnet proof includes customs-validated documents dated after the date of importation on the claim. USCIB does not guarantee the acceptance of non-Carnet proof by foreign customs.Please ensure that the Carnet number and other Carnet-specific information are indicated on any of the following documents: e.g., description of merchandise as listed on the General List, the value and the total weight of the goods. A Certificate of Disposition is used to provide evidence to foreign customs that the goods in question have been re-imported into the U.S. The Holder should present the merchandise to the U.S. Customs office, upon or after re-importation, for inspection and obtain proper certification using the Certificate of Disposition form. Contact the Entry Branch of the U.S. Customs office for details and to schedule an appointment. Click here to download the form, instructions, and a sample. In the case of a sale of merchandise (either in part or in whole), the USCIB recommends that Holders secure a foreign customs cashier’s receipt before departure from the importing country. This receipt will be used to prove payment of applicable duties and taxes upon receipt of a claim. The cashier’s receipt should indicate the Carnet number and items numbers on the General List for which payment is being made. At the time the receipt is obtained, Holders should also request the customs authorities to make the appropriate notations on the re-exportation voucher. Upon return to the U.S., Holders should send a copy of the receipt to USCIB, Foreign Claims Division, 1212 Avenue of the Americas, New York, NY 10036. Claims Administration: What Charges Might I Face? What Charges Might I Face? A Carnet allows the temporary importation of merchandise without the deposit of taxes (e.g., value-added taxes, VAT) and duties or the purchase of an import bond. With a customs claim for which there is no proof of re-exportation, duties, taxes and usually a penalty (10% of the duty and taxes) will become payable. This VAT chart is a general reference guide. Actual taxes and duties may vary. Foreign customs may charge a Regularization Fee if the re-exportation counterfoil was not validated by a customs inspector upon re-exportation or if proof of re-exportation is submitted more than 6 months after the customs claims date (for the Netherlands ONLY). The amount of this fee and its application vary from country to country. USCIB reserves the right to assess any charges on any claims that require excessive claim Examiners’ time; telephone, facsimile or postage charges; and other situations that cause financial or other loss to USCIB as a result of misuse of an ATA Carnet. At present, over 75 countries accept Carnets. New members are added periodically. Each country designates a National Guaranteeing Association (NGA), which oversees the operation of the Carnet system in that country. The World Chambers Federation (WCF), a division of the International Chamber of Commerce (ICC), in Paris, with the World Customs Organization (WCO) in Brussels, administer the Carnet System worldwide. While BAX and DHL accept Carnet shipments, FedEx and UPS (small package divisions) generally do not. U.K. customs denied entry of Carnet because the merchandise was undervalued and did not represent a “reasonable commercial value.” Using the insured value of goods on your General List will usually result in a “reasonable commercial value”. Obtaining a Carnet does not release your obligation to comply with U.S. Government export controls or foreign country import controls. Some articles may require an export license for reasons of national security and foreign policy. An export license allows U.S. companies to export commodities that are controlled by U.S. regulations. Check with foreign customs in advance for their restriction or requirements on goods entering their country. Effective April 5, 2014, and as a result of changes to the Foreign Trade Regulations (FTR), many exemptions that existed for ATA Carnet are greatly curtailed. These changes cover both U.S. and foreign ATA Carnets, as well as those coming from and going to Taiwan (TECRO/AIT). For a complete guide to the new FTR export requirements click here. ATA Carnets are not exempt from importer security filing (ISF, otherwise known as 10+2). However, ATA Carnet shipments ARE exempt from posting the bond required of other shipments entering or re-entering the U.S. via vessel. Except for the provision of the six digit HTSUS codes, the information needed to complete the ISF can be found on the Carnet or available from the broker clearing the entry. It is highly recommended that identifying photographs be appended to the General List for Carnets entering European Union, especially Italy and the United Kingdom. It is also recommended that identifying photographs be appended to the General List for all types of Jewelry entries into Israel. Holders should have blue transit certificates in their Carnet when bringing jewelry samples and/or loose precious stones to France. It is also recommended that Carnets covering jewelry and entering Switzerland for an exhibition or fair include transit sheets. Motor vehicles may travel on ATA Carnets only if the vehicles are commercial samples, professional equipment (e.g. for races) or to be displayed at an exhibition or fair. Special security deposit rules apply. Vehicles crossing the US Canada border as means of transportation are exempt from ATA Carnet requirements. Personal use road vehicles (autos, motorcycles, trailers, ATVs, RVs, caravans) for touring, vacation and non-business travel need to obtain a CPD (Carnet de Passages en Douanes). To obtain a CPD, contact Monika Jadeszko at +1 847.852.3100 or Info@CPDCarnet.com, boomerang carnets for assistance. Boomerang carnets is authorized by the FIA to issue CPDs to American and Canadian residents for touring purposes. Effective April 1, 2017 all ATA Carnet Preparers that have a horse listed on their general list will be required to complete and submit an ATA Carnet Horse Questionnaire (click to download form) along with any related supporting documentation before the ATA Carnet can be issued. USCIB recommends Preparers use the Fédération Equestre Internationale (FEI) database https://data.fei.org/Default.aspx as a tool to assist validation of the value of the horses in addition to the questionnaire. USCIB no longer requires that the minimum value of horse listed on the general list of the ATA Carnet be $10,000. The actual value of the horse must be listed on the general list of the Carnet. To avoid a claim, have the counterfoils and vouchers validated upon entry and exit into a foreign country. Make doubly sure that the yellow re-import voucher is stamped by US customs. This is your last line of defense to settle a claim. For Carnets with a valid claim, Holders are subject to a maximum penalty of 10% of the total duties and taxes levied by a foreign customs authority. This penalty is in addition to the duties and taxes. Holders will also be charged a USCIB Claims Handling Fee. Regular business hours, contact USCIB, Carnet HQ, immediately for assistance; tel: 800-538-8937, fax: (212) 944-0012, email: atacarnet@uscib.org. Upon initial departure, the Holder or authorized representative must sign the green cover. U.S. Customs must validate the green cover and a yellow exportation counterfoil to activate the Carnet for its first use. Foreign customs may deny entry of goods under a Carnet if neither the green cover nor the exportation counterfoil is properly validated. A foreign customs authority has the right to restrict the duration of a Carnet shipment and require that the goods leave prior to the expiration date of the Carnet. If a customs authority limits your stay, this will be noted on the importation counterfoil (Item 2—Final Date of Re-Exportation) at the time of entry. U.S. Customs levied an $80,000 penalty on a U.S. Carnet Holder who knowingly substituted similar goods on General Lists for re-importation into the U.S.
ATA Carnets can be obtained from one of our service providers. Please click on a logo below to simply Register and Apply. Expedited Options: Expedited and same-day delivery may be available. Check with your issuing office for costs and availability. Additional charges may apply. Delivery Options: Check with your issuing office for availability. Courier charges apply. All Carnets require a security deposit equal to 40% of the value of the General List. Exception: Carnets issued for Brazil require a security deposit equal to 60% of the value of the General List. Road vehicles covered by a Carnet require 100% security for corporations or 150% if the Holder is an individual, and all vehicles visiting China require a minimum of 100% security deposit. Certified checks and money orders are made payable to your Carnet issuing Service Provider, boomerang carnets or Roanoke Trade (minimum $100). Surety bonds may be obtained through our Service providers who are carnet bond specialists or from any of the 200 companies authorized by the U.S. Treasury Department, admitted in New York State, and have an A.M. Best rating of A- or better. Bond premiums are typically 1% of the bond amount (a minimum premium may apply). In lieu of a cash deposit or bond, federal government agencies may remit an RCD of $250 per Carnet. Agencies must also complete the Application for Waiver of Security. Effective January 1, 2010, non-Federal Government Agencies are required to post a standard security deposit in the form of cash or a surety bond as explained above. As of January 1, 2010 Written Agreement in lieu of a cash or a bond and is only available to select members. For further details please contact your service provider. Cash deposits and RCDs are returned in full. Surety bonds are terminated once the original Carnets have been returned for cancellation and no claims are anticipated by Carnet HQ. While Carnets are good for up to one year, if a claim arises, it may be necessary to hold the security deposit until the claim is resolved. If a customs broker, freight forwarder or agent is preparing the application on behalf of a Carnet holder, a Power of Attorney must accompany this application. Please contact your service provider for a Power of Attorney form.